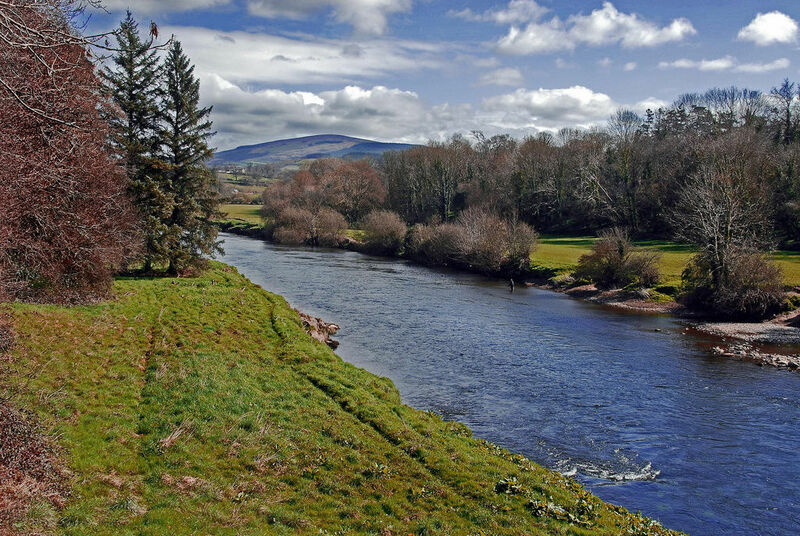 Nore Valley Walk: Thomastown to Inistioge is a 22.2 kilometer lightly trafficked out and back trail located near Thomastown, County Kilkenny, Ireland that features a river. The trail is rated as moderate and is primarily used for hiking, walking, and trail running. One of three sections of the Nore Valley Walk. The trail follows the River Nore from Thomastown to Inistioge. The Nore Valley Walk is the flagship project of Trail Kilkenny. The walk will stretch from Kilkenny city to Inistioge and follow the River Nore. The walk is divided into three sections (Kilkenny to Bennetsbridge, Bennetsbridge to Thomastown and Thomastown to Inisitoge). This guide details the Thomastown to Inistioge section. Starting in the town of Thomastown go south across the bridge and follow the green arrows to the Thomastown GAA pitch. 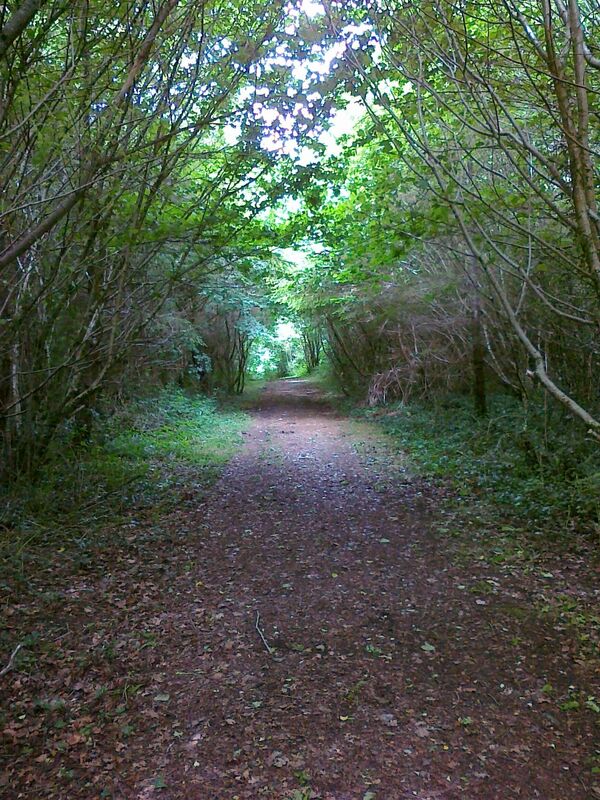 Walk along the border of the GAA pitch to the river bank and follow this for 2km into Dysart Forest. On leaving Dysart forest turn left along the Rock Road and after 400 metres take the left side road (all marked with green arrows). Follow this side-road back to the main road and follow this road for 3km, passing Ballyduff House until you enter Brownsbarn Wood. The walking trail traverses the wood to the river bank and then raises back to the road. This is a perfect spot to stop for a picnic en route. On leaving the wood turn left and walk down toward Brownsbarn Bridge. Turn right at the bridge (don't cross the bridge) and then follow the road for 500 metres until you see a green and yellow stile. This stile will bring you back to the river bank and you can follow this trail to the village of Inistioge. The Nore Valley Walk passes the Thomastown GAA pitch and joins the river bank. Follow the Green arrows along the river bank in the direction of Inistioge. The valley is dominated by Grennan Castle, standing on an elevated mound which at one time was surrounded by a moat. 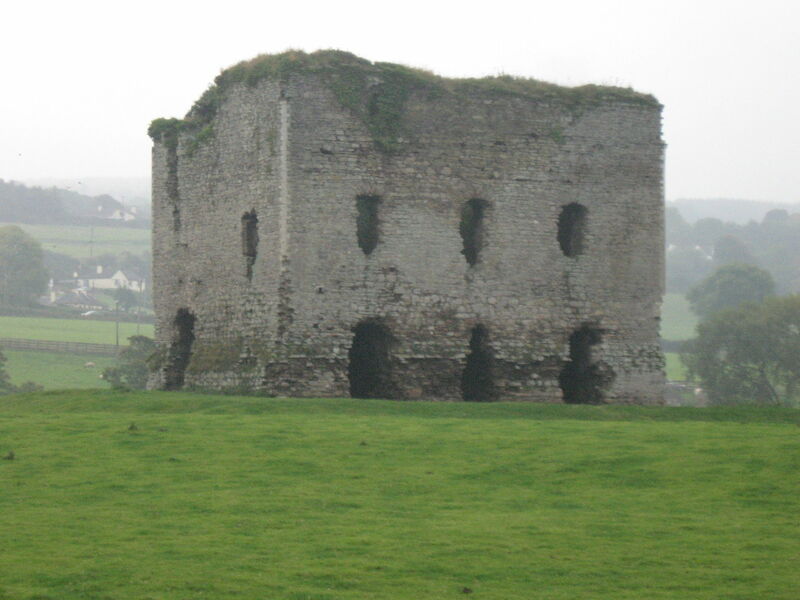 The Castle was built around 1200 by Thomas FitzAnthony who gave his name to the town...... Baile Mhic Andain. 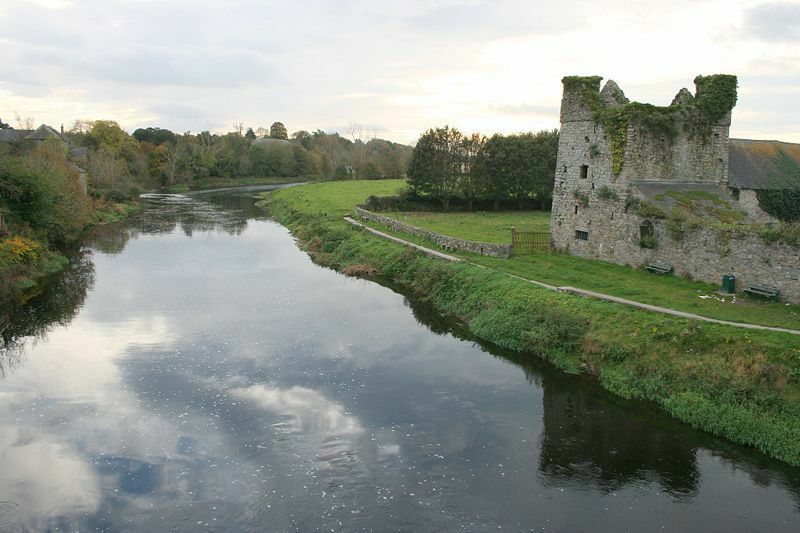 Thomas was a Norman and son-in-law of Strongbow and was granted a large area of land in the Inistioge/Thomastown area. In 1650 the castle was laid siege to by Cromwell. We can tell the story in his own words: "Our men attempted to take the town (Thomastown), the enemy made no great resistance; but by the advantage of the bridge quitted the town and fled to a castle about half a mile distant......That night we summoned the castle and after two days it was surrendered to us, the enemy leaving arms, drums, colors and ammunition behind them, and engaging never to bear arms more against the Parliament of England". The castle maintained its original form until the early years of the 19th century. Then vandalism stepped in. The high courtyard wall, many of the handsome quoin stones and all the carved stones, forming the surrounds of the windows, were torn down and used as building stones. And so today it stands, shorn of its beauties, a monument to ignorance and avarice and the Castle, which was once deemed a fitting residence for the highest in the land, now gives shelter to the beasts of the field. On leaving the Coillte forest follow the green arrows left along the Rock Road. 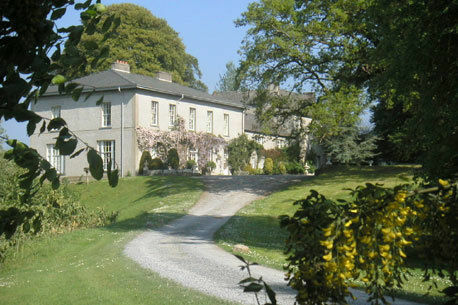 Ballyduff House, built in 1760, is set in glorious parkland overlooking the river Nore. 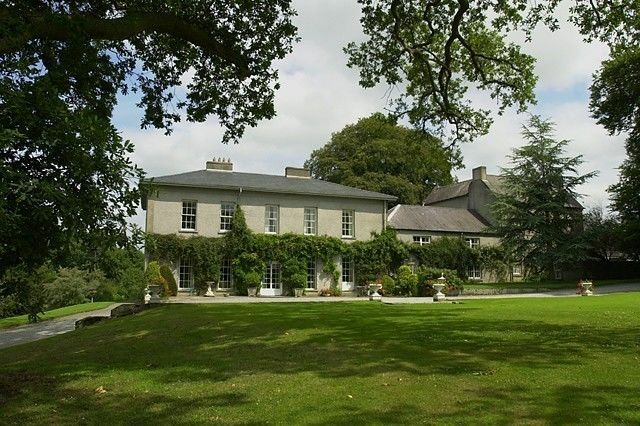 It is the beautiful home of Brede Thomas who, as well as running the B&B also farms. The setting is totally unspoiled which is almost unique in this part of Ireland. Brownsbarn Wood is a broadleaf forest on the banks of the River Nore. The trail contains walkways and a bench to stop and admire the view. On leaving Brownsbarn Wood follow the green arrow markers down the road (turn left), when the road meets the Brownsbarn Bridge turn right in the direction of Inistioge and over the stile to the river bank. Inistioge is a picturesque village in South kilkenny. It is the perfect place to finish your walk with a number of cafes and restaurants.